NEW! The future of photo protection...now! 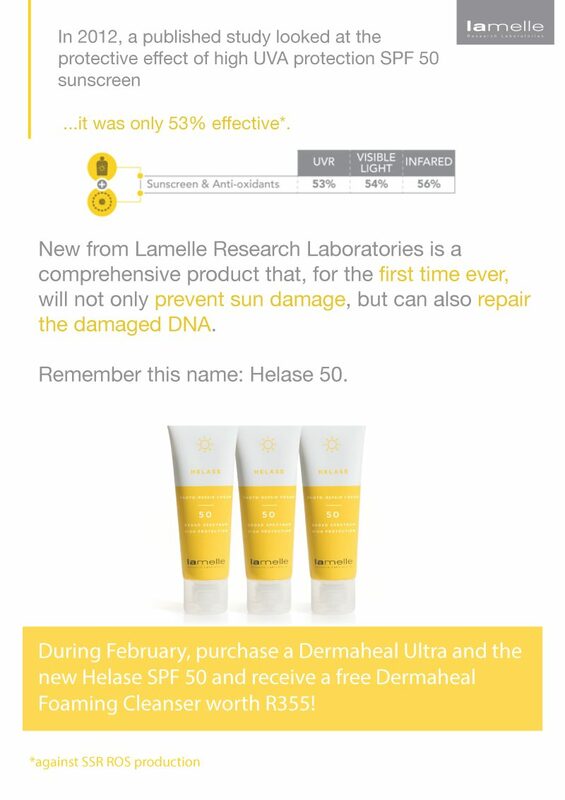 Lamelle Helase 50 is a comprehensive product that, for the first time ever, will not only prevent sun damage, but can also repair the damaged DNA.